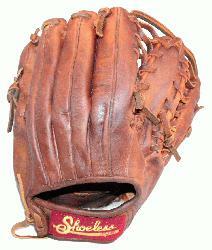 Shoeless Joe 11.5 Baseball Glove 1150SF (Right Hand Throw) : Shoeless Joe provides any infielders, especially a middle infielder, 4 Web choices in a 11 12 inch ball glove. Regardless if the player chooses the Modified Trap, Six Finger, I Web or H Web glove, it will feel like a true extension of the hand. These gloves are designed to let the player catch any fly or ground ball, and make a quick transition to the throwing hand. 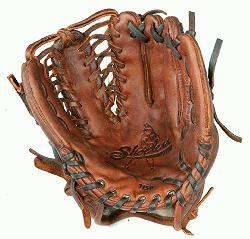 So that a player can quickly take their glove to the field, the Shoeless Joe11 12 gloves are made with 100% Tobacco tanned steer hide, and are hand laced and oiled and require very little break in time.